The most comprehensive archive of data visualizations. Data Viz Project is the world's biggest library of data visualizations. The website presents all relevant and popular visualizations so you can find the right one and get inspired. 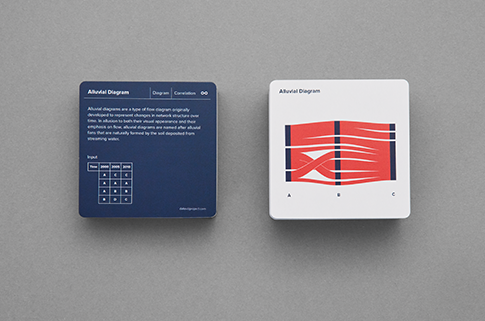 With more than 150 data visualizations it's the most comprehensive. 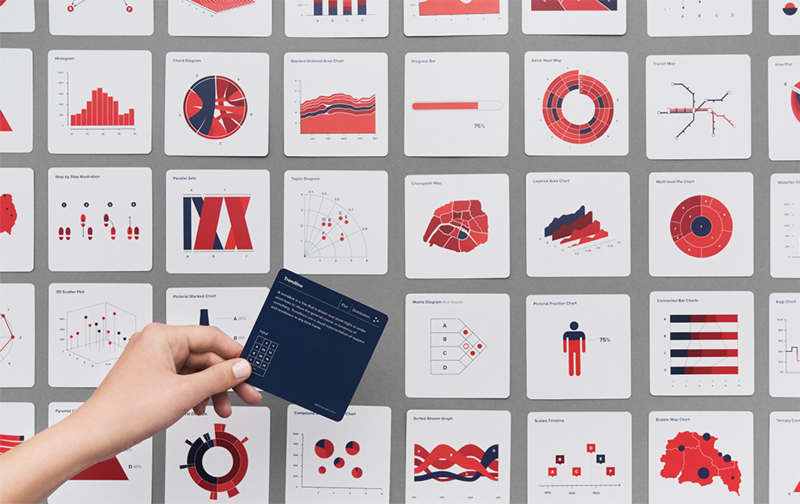 Get inspired by the many different ways to visualize data. Find new ways to visualize your data with smart search functions. Finding the right data visualization can be tricky and it's easy to get lost in hundreds of options. That's why we included five ways to search by family, your data input, function, shape or simply searching by name. 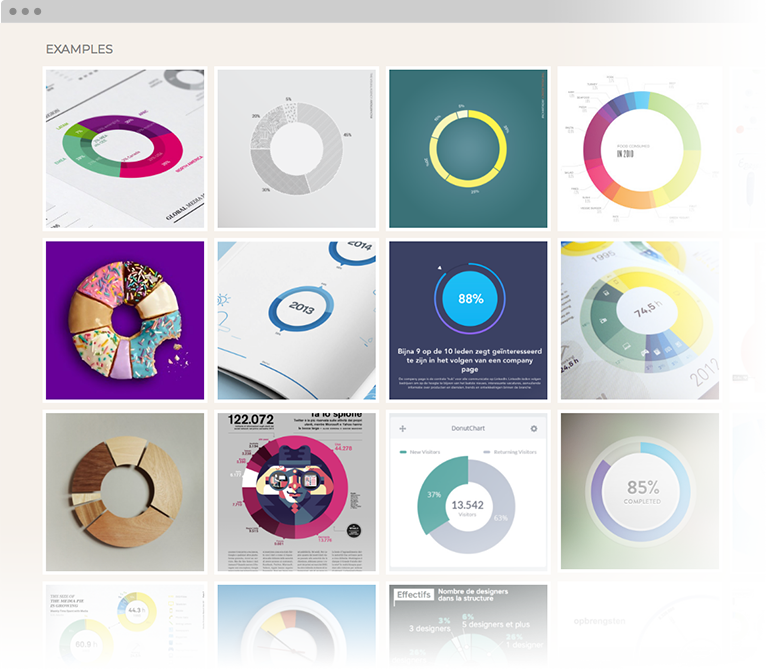 A donut chart is not just a donut chart - it can be designed in endless of ways. Any data visualization can be unique by adding the right amount of creativity, style and craftsmanship. 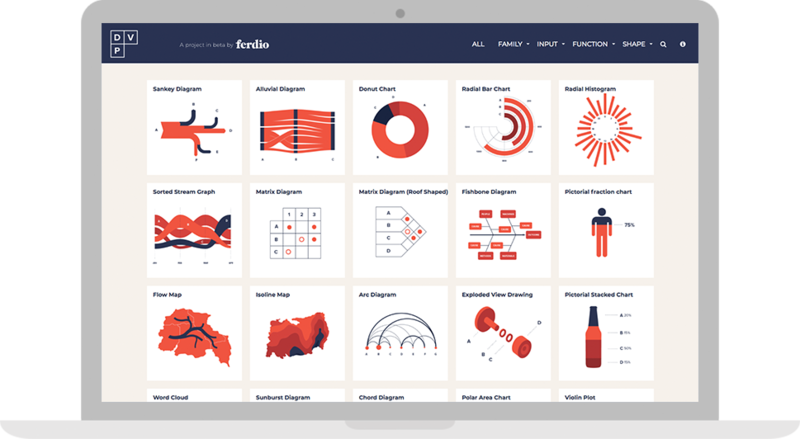 That's why we included all the best examples of each visualization to get inspired. For now, Data Viz Project may be a website, but it may very well be transformed into different formats. 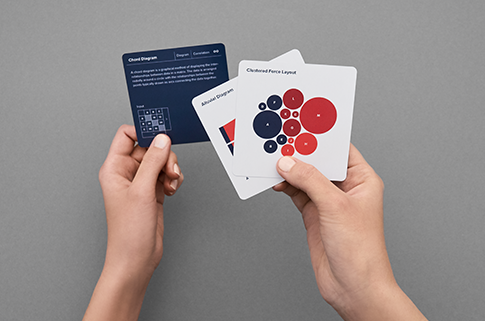 First stop is the data viz cards. Want to see more? Any feedback or ideas?